How might we 'see' an exhale? "More than merely pondering the currencies of breathing, When Our Breaths Run is a rumination on the estrangements we have with our own bodies. Megan Biddle exhaling into molten glass. 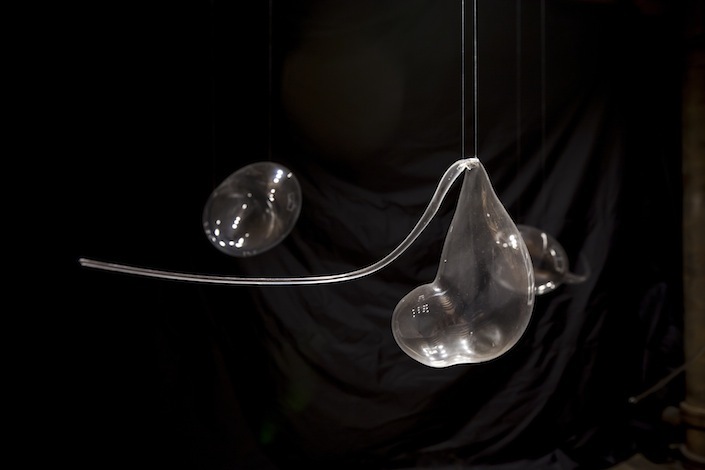 "Presenting exhales evokes a strange relationship with our own bodies," says Harris. "By slowing breathing way down, the artmaking questions and 'makes strange' a usually automatic process." lot can be done to block the perpetrators and diffuse the situation. direction for this upcoming project. “Being perceptive and using your body simply, can be the most radical act,” she says. exhaling by oneself.” ~Luce Irigaray, Between East and West: From Singularity to Community, p.73.